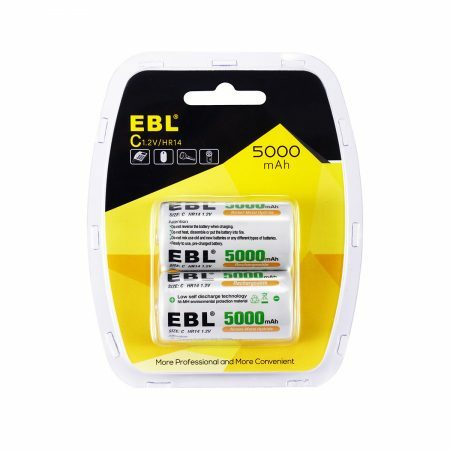 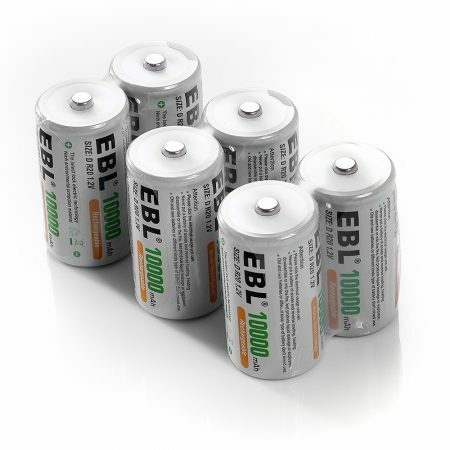 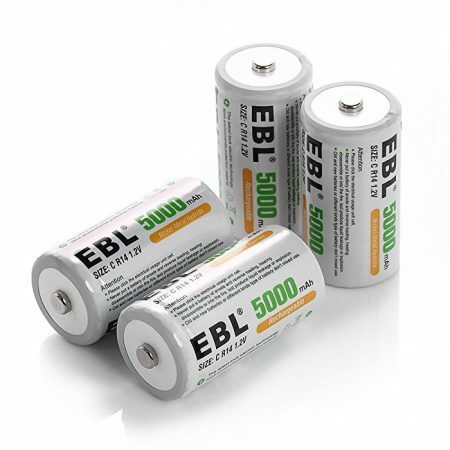 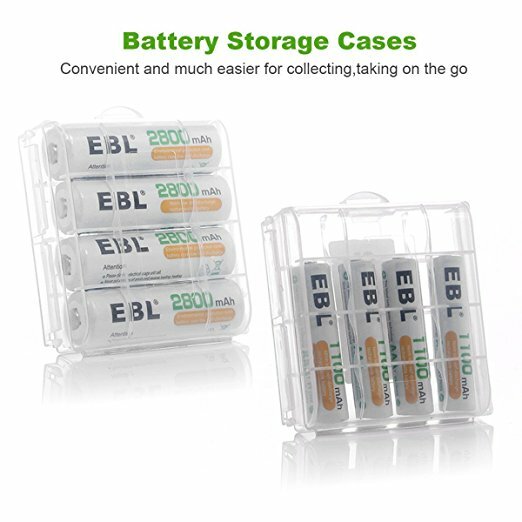 Super Capacity – 2800mAh AA Ni-MH rechargeable batteries. 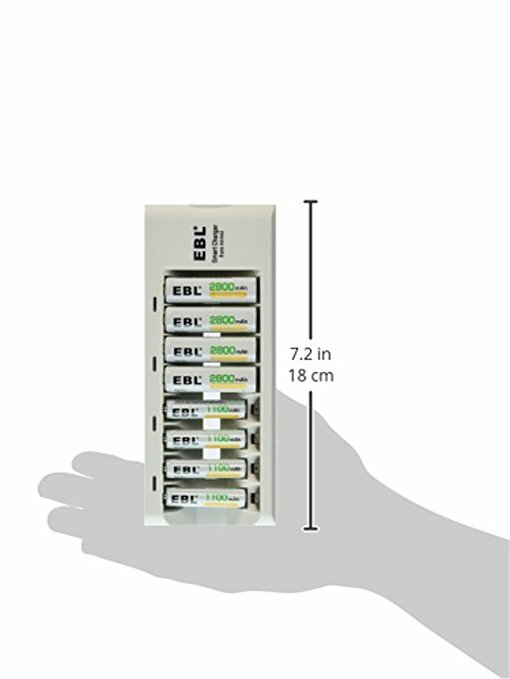 Storage Cases – every 4 batteries we packed in one professional battery storage case. 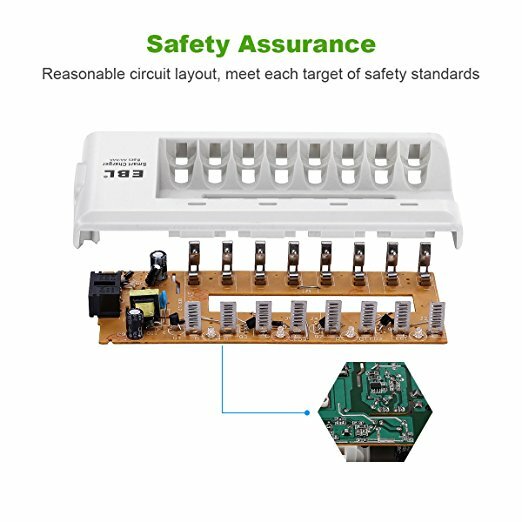 Safety – good at shedding heat, short circuit and input voltage detection, automatically stop charging when voltage is up to 3.4V. 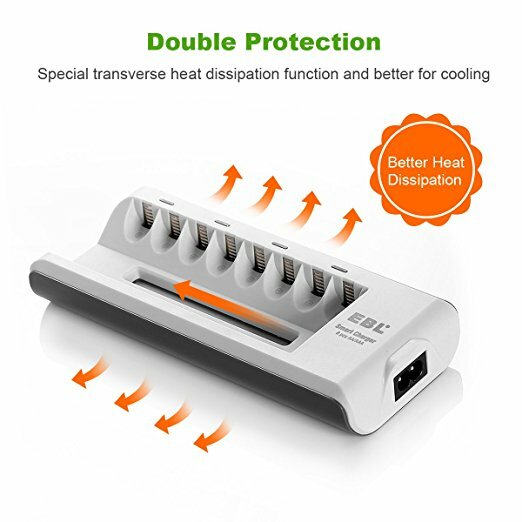 Worldwide Usage – AC 100-240V 50/60Hz input, 2.8V DC output shorten the time of charging (most similar chargers are 2.4v),using temperature of charger: 0~35℃. 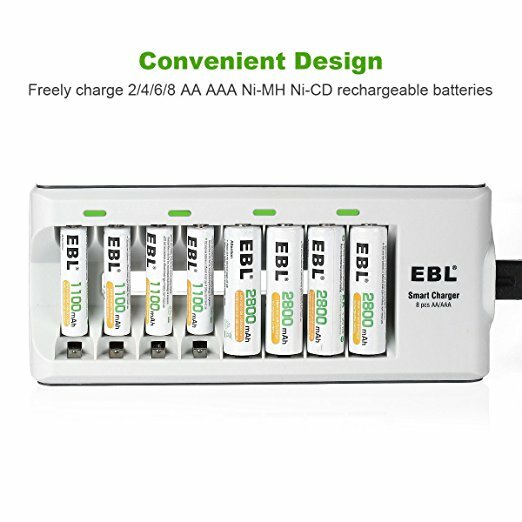 This universal rechargeable battery charger can charge both AA and AAA Ni-MH Ni-Cd rechargeable batteries( not for alkaline or lithium batteries). 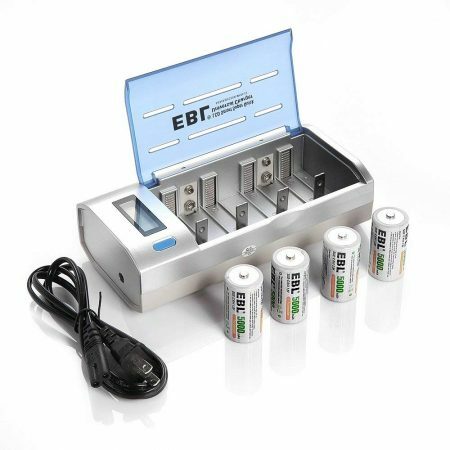 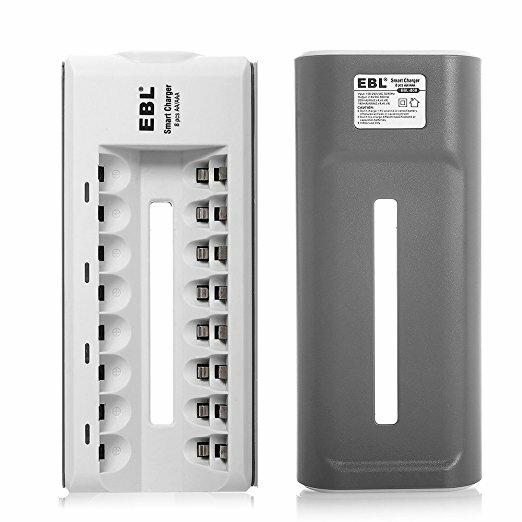 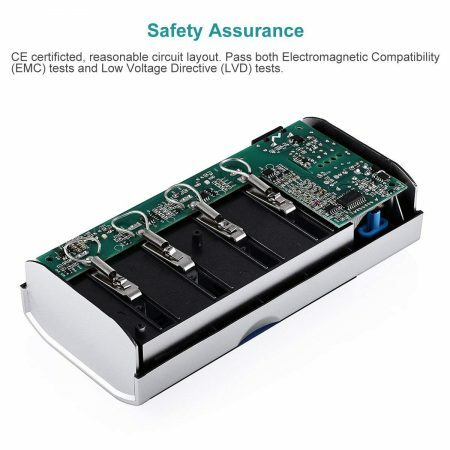 This battery charger is able to charge 2/4/6/8 AA or AAA batteries together at a time. 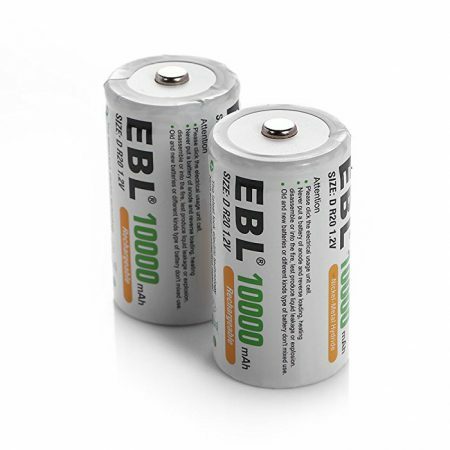 Batteries need be charged in pairs while an uneven number of batteries are not allowed to be charged together. 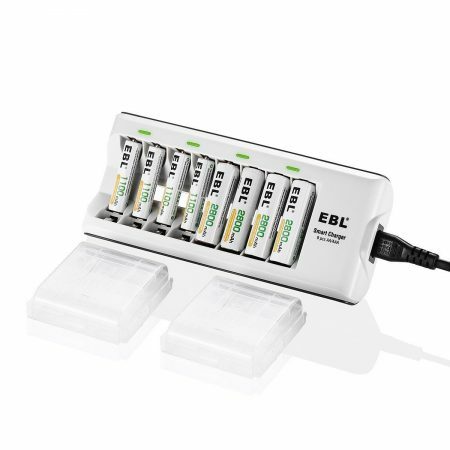 This rechargeable battery charger has 4 smart LEDs to indicate the charging status for you. Kind reminder: never charge 1 AA+ 1 AAA battery together at 2 slots which are controlled by 1 LED indicator.